Derek from 4fifeen Clothing is a San Francisco native who makes great tees and hats showing some serious city pride. It turns out he had even more reason to claim SF street cred: His dad was a Muni driver and has the operator’s manual to prove it! 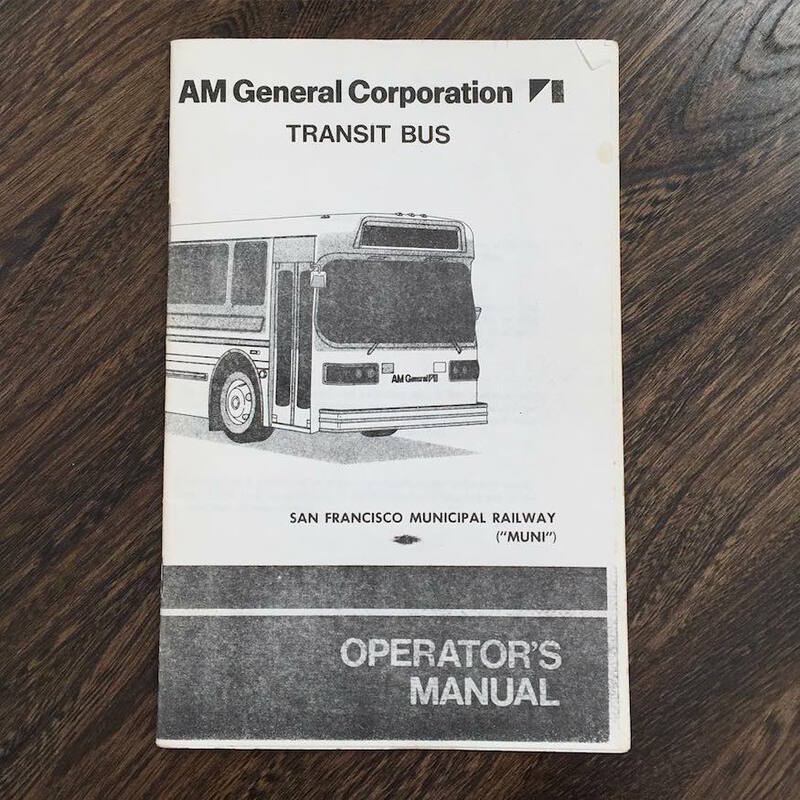 My pops’ old #sfmuni #amgeneral operator’s manual. #woodsdivision Born and raised in #sf. Here’s what Muni’s driver recruitment looks like today, and the Muni operator’s handbook, all 155 pages on the mechanics of being a Muni driver. A fascinating read for any transit geek, really. What do Muni drivers really think of you? Love these Muni moments? Come to Muni Diaries Live on Apr. 16 at the Elbo Room to hear our best stories live! Tickets.